It seems that even 100 years ago Russian soldiers had some fun. 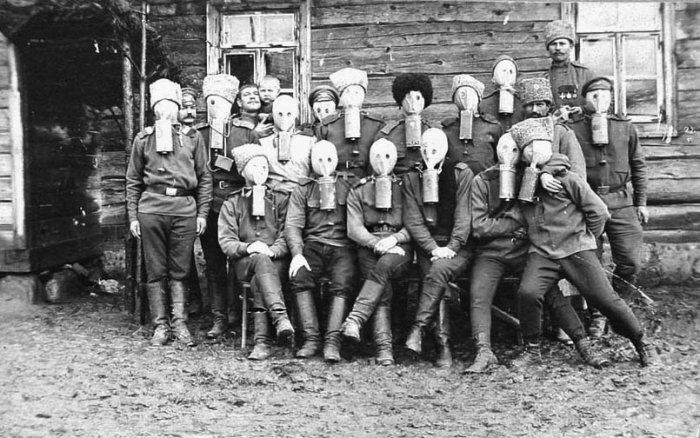 Don’t you know that gas-mask was invented in Russia during WW I as a reaction to using ‘yperite’ by Germans? Does anyone see the baby that guy is holding up? That is a little Russian baby back there! I wonder if it has a little baby Russian gas mask?